These rooftop views will add some sizzle to summer in DUMBO. Newly opened rooftop public space at a post-Civil War coffee warehouse is putting people in an Empire State of Mind, to borrow a phrase from Jay-Z and Alicia Keys. The landscaped public amenity atop Empire Stores is quite the visitor magnet. The roof is quickly becoming a hot spot for selfie-snapping and sitting in the sun — when the Brooklyn waterfront isn’t being soaked with rainstorms, of course. Empire Stores’ rooftop has eye-popping views of the Brooklyn Bridge, the World Trade Center and other Manhattan skyscrapers, Jane’s Carousel and the shoreline of Brooklyn Bridge Park, East River boat traffic and the Manhattan Bridge. Built between 1869 and 1885, Empire Stores stood empty for decades. Then in 2013, the Brooklyn Bridge Park Board of Directors chose a joint venture headed by Jack, Michael and Joseph Cayre’s Midtown Equities to ground-lease Empire Stores for a 96-year term and redevelop the landmarked property. 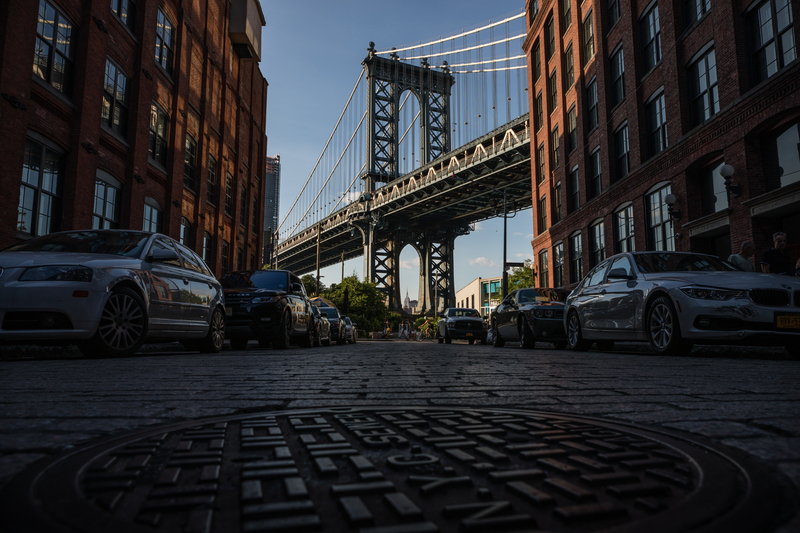 The development team has meticulously renovated Empire Stores and carved out a pedestrian passageway in the middle of it that connects Brooklyn Bridge Park’s shoreline and Water Street. A staircase located near the Brooklyn Bridge Park entrance to the pedestrian passageway provides public access to the rooftop. Office, retail and cultural tenants have been moving into Empire Stores, including West Elm, Shinola Detroit and the Brooklyn Historical Society. A glassed-in addition on Empire Stores’ roof that is separate from the open-air public space is going to be occupied by an outpost of SoHo House, an upscale members-only club, according to the website Brooklyn Bridge Parents. An email that SoHo House founder Nick Jones sent to members said DUMBO House, as it will be called, will open this fall, the Brooklyn Paper reported.